WorkSource partners are equal opportunity employers and providers of employment and training services. Auxiliary aids and services are available upon request for persons with disabilities. Washington Telecommunications Relay 711. Shoreline Community College is excited to be able to support employers in finding qualified applicants. Along with our partnership with the Seattle-King County WorkSource, Shoreline Community College's Job Connection Center is able to assist employers by posting job openings, providing a space on campus to reach out to our population, as well as offering opportunities to participate in job fairs that we host on campus. Please feel free to contact our office if you have any further questions about how our site can help you find great job candidates. 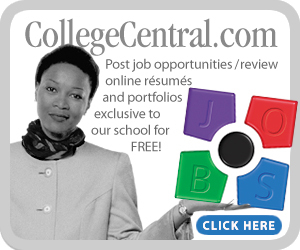 If you are interested in posting a job opening on campus, you can do so by clicking on the link below and creating an employer profile on our online job board system hosted by College Central Network. After approval your position(s) will be posted onto the online job board that is accessible for students and our local community. Shoreline Community College offers employers the opportunity to recruit on our campus. We have designated tables for employers to meet with students and community members. For more information, or to book a time slot for on-campus recruitment, please contact our offices at shorecareers@shoreline.edu or call 206-546-4783. Shoreline Community College, in collaboration with the WorkSource system, conducts on-campus job fairs to showcase employment opportunities to both our students and community. These job fairs typically consist of 10-20 employers. Our offices support the advertisement and coordination for employers. If you are interested in participating as an employer at one of our job fairs, please contact our offices at shorecareers@shoreline.edu or call 206-546-4783.